These days, history is no longer presented as a chronological series of events that is held to represent 'the whole truth'. Fresh insights reveal new connections and the ebb and flow of political, social and economic trends produce new feelings or concerns, which then find expression in art. The 19th-century idea of strictly chronological museum presentation is now outdated. Moreover, today’s visitors come to the museum with different expectations: they want to take a more active role and to discover their own narratives in the art on display. This is why the Gemeentemuseum's permanent exhibition Discover the Modern reveals the personalities behind the work of top artists like Claude Monet, Wassily Kandinsky, Pablo Picasso, Piet Mondrian, Francis Bacon, Constant and Louise Bourgeois - the artist's doubts and difficulties, exuberance and sensuality, search for utopia or playfully child-like approach to creation. Dutch museums are blessed with internationally renowned collections that offer visitors access to work by virtually every iconic figure in the modern art field. Too often, however, their displays are still strictly chronological and this can prevent visitors from appreciating the true magnitude and significance of the artworks on show. The Gemeentemuseum sees itself as a medium for the communication of knowledge, emotions or moods. At a time when we need to abandon the conventions of the past, it is an obvious step to invite the public to explore art for themselves and to experience the excitement of a fantastic world of unlimited possibility. The Gemeentemuseum's new thematic presentation of modern art is part of an international trend set by leading institutions like Tate Modern in London. Discover the Modern allows viewers to discover fresh and exciting dialogues between the works on show. Basing the exhibition on the idea of lines of influence rather than general artistic movements throws up new themes such as stasis and motion, the child and the savage, tradition and experimentation, and play and utopia. The result need not always be a clash of opposites; it may be a pleasing harmony producing new and unexpected insights. 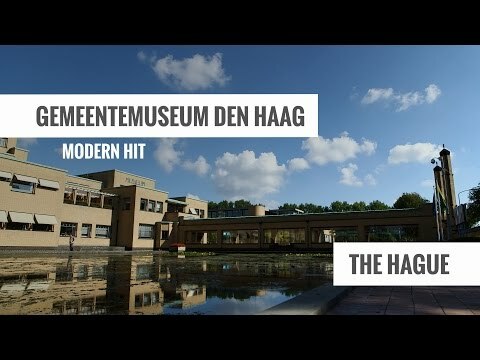 Gemeentemuseum Den Haag is one of the finest and most diverse museums in the Netherlands. The magnificent Berlage building houses not only the largest Mondriaan collection in the world, but also a permanent exhibition of modern art, an outstanding silver collection, finely decorated Delft Blue, interactive Wonderkamers and countless continuously changing exhibitions. Gemeentemuseum Den Haag is located in Statenkwartier nearby Scheveningen beach and is easy to reach by public transport, car and bike. From Den Haag Centraal Railway Station and Hollands Spoor, tram 17 will take you to the museum in approximately 20 minutes. From Station CS you can also take bus 24, which runs between Station Mariahoeve and Kijkduin.